The **FEELS**. It is so sad, but beautiful. This entry was posted in Fan Videos and tagged fan videos, sad, thorki, thunderfrost on June 19, 2014 by pepi. There is one scene in the Avengers that gives me the creeps: the “bullying scene”. It is quite explicit itself: Hulk smashes Loki on the floor without mercy and without thinking about it too much. Could we take this scene as a metaphor for all the bullying that is going at schools and also later on in our lives into the workplace? Under American eyes, Loki can be the representative of geeks in Asgard. If we consider Loki as a geek his actions to get noticed, to be one of the group, or to be accepted, are easily understood as a metaphor for those of a Midgardian kid who struggles at school for a place in the tiny, and yet quite cruel, schooling system. Since we tend to value physical characteristics more than intellectual ones, it is no wonder that you might have bullies who will take advantage of kids who have less muscle, but more brains. Taken into this light, this scene could be seen as follows: Hulk representing the bully who has lots of animal instincts and few brains. Hulk is a scientist who turns into a huge guy who is driven by anger more than logic. And when this happens, he smashes things around. His opponent is Loki. Even though he might be a God, and even though he might be intellectually superior (or at least he thinks that), he has no physical match agains the Hulk. He simply does not have the muscle power. This entry was posted in Geeks + Nerds & Aspies + HFAs and tagged bullying, geek, nerd, personality, sad on May 13, 2014 by pepi. This is an extremely beautiful drawing by Amanda Tolleson. It is sad, it makes you cry, but at the same time it cries out loud “I need a hug”, “nobody understands me”. This is a really good piece of digital art. Check Amanda’s work here. This entry was posted in Fan Art and tagged beautiful, cute, kawaii, sad on March 3, 2014 by pepi. 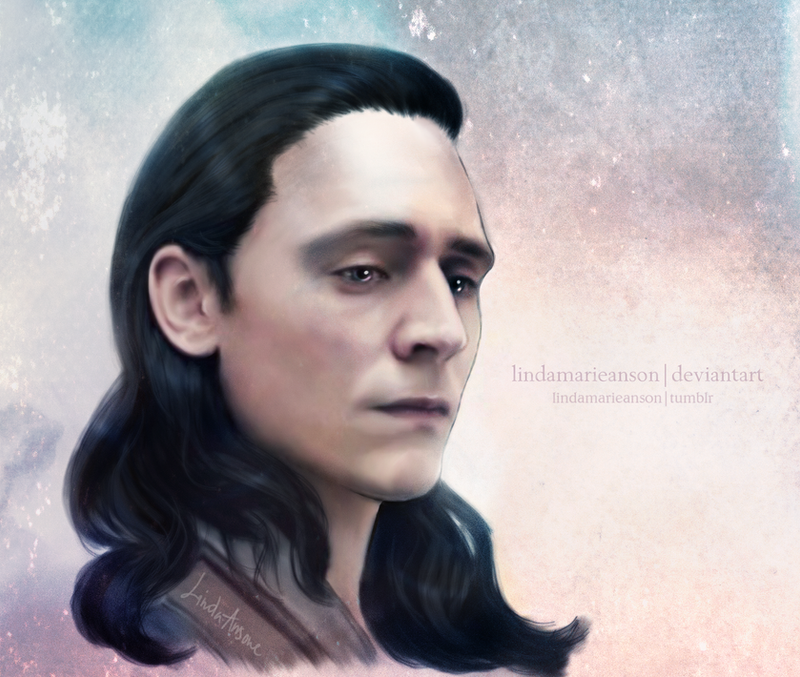 I am sharing this awesome and sad drawing of Loki by Linda Marie Anson. I specially love the sad expression of the face, and the illumination of the eyes. It is compelling and at the same time it makes you want to give him a hug! This is one of my favorite artworks of Loki. Linda Marie Anson is creating awesome art. So, please check her deviantart page 🙂 You won’t regret it! This entry was posted in Fan Art and tagged beautiful, kawaii, sad on March 3, 2014 by pepi.